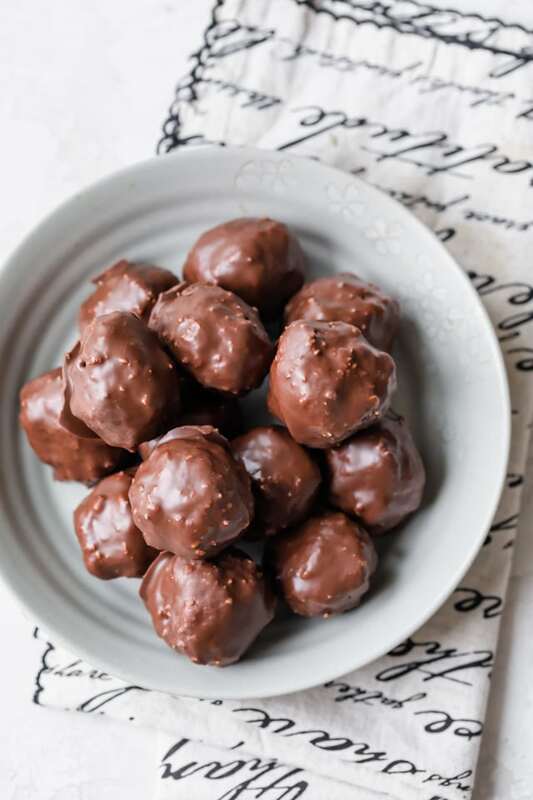 These vegan Chocolate Coconut Balls are made with simple ingredients that come together in a delicious and sweet dessert that tastes like Almond Joy bar. Where are my almond joy fans out there? 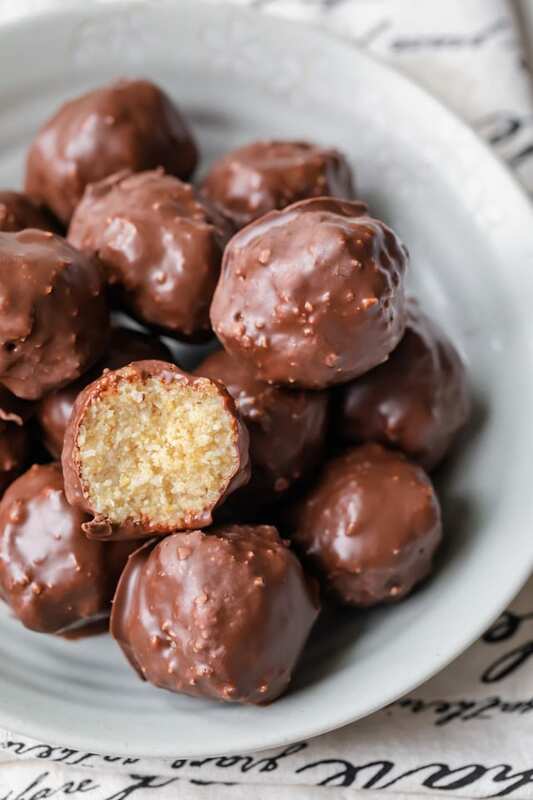 That’s one of my favorite chocolate bars ever, and although these chocolate coconut balls weren’t meant to recreate that recipe, they totally taste like it! 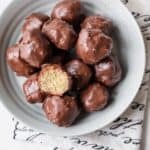 If you have a sweet tooth while trying to maintain a healthy diet during the start of the year, these are a great way to satisfy that sweet tooth with wholesome vegan ingredients! 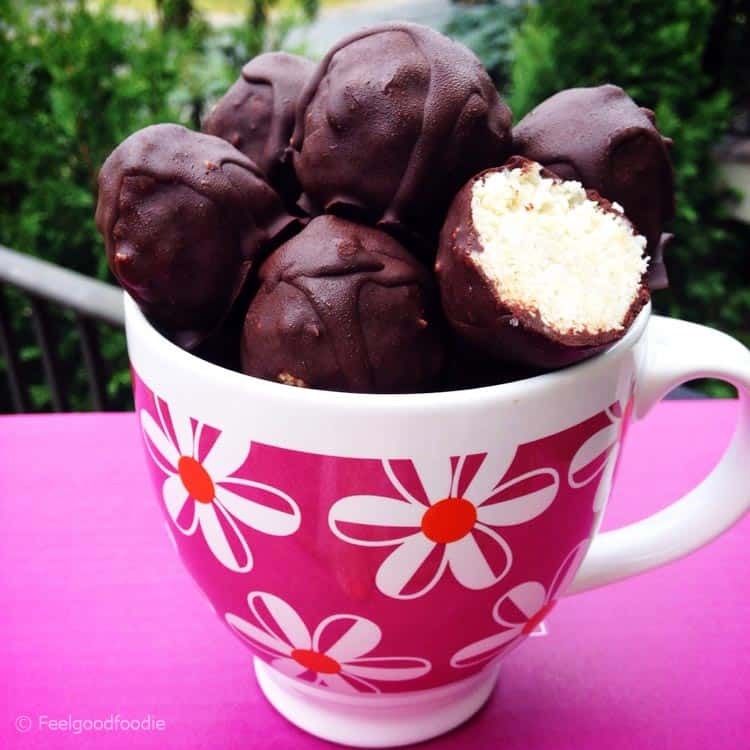 What do you need to make chocolate Coconut Balls? 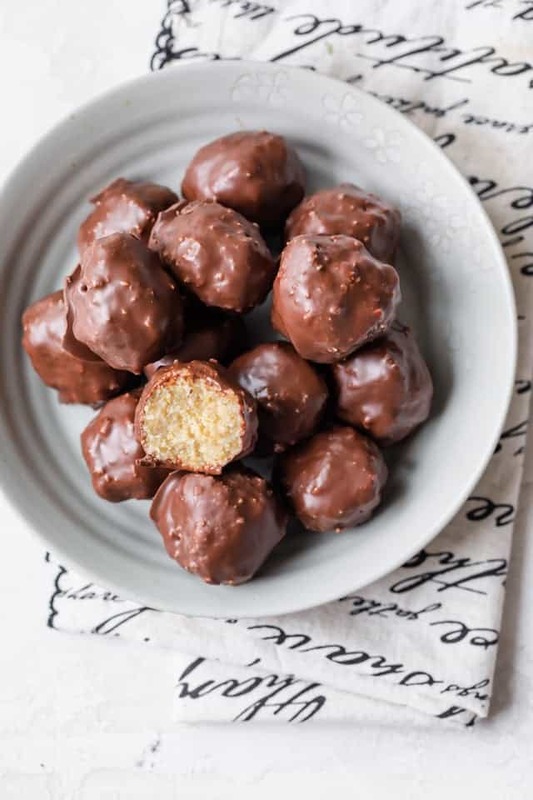 How do you make chocolate Coconut Balls? 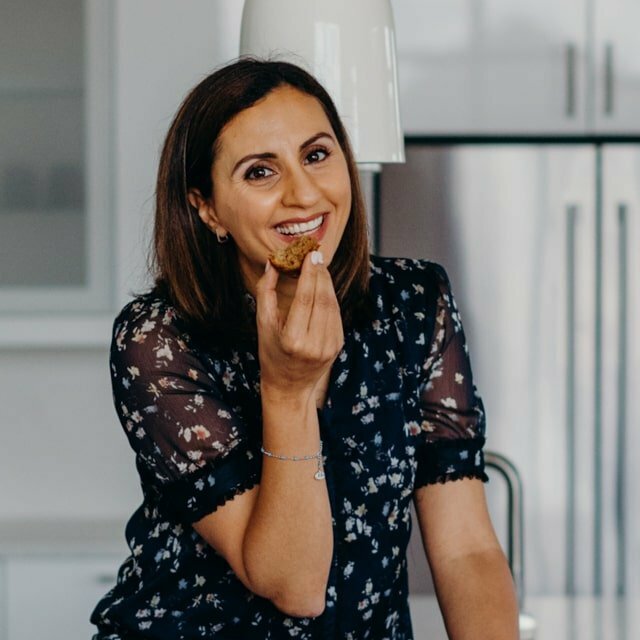 Given there are only 6 ingredients to make this vegan dessert, and that it’s a no-bake recipe, you can probably guess that the instructions are super simple and straightforward. I would recommend however having a good food processor because it’s the most important part of the recipe. To start, blend the cashews and coconut together. 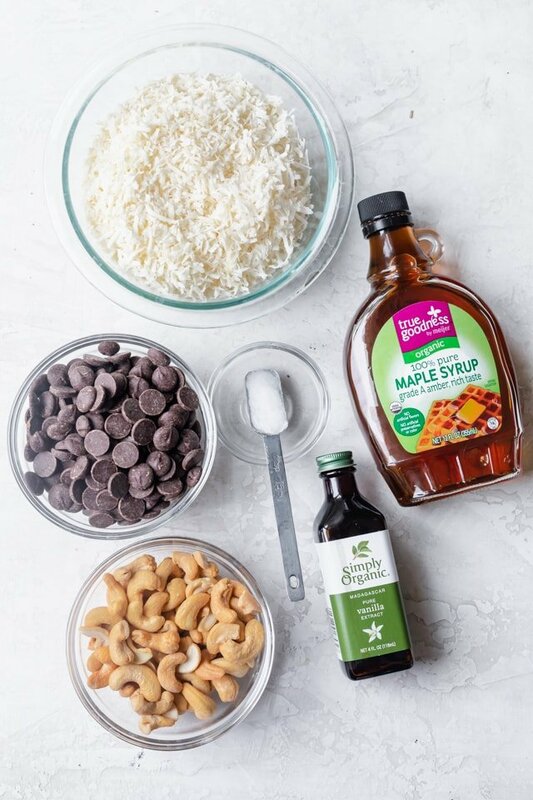 When the mixture looks finely chopped, add the maple syrup, coconut oil and vanilla extract and blend again. Now the mixture is pretty much done and ready for shaping and chocolate dipping! Then scoop up about 1-2 tablespoons of the mixture and squeeze it in your hand really tightly until it binds. You won’t be able to roll these up because of how flaky they are. But you can squeeze them and slowly shape them with your hands into round shapes. That’s all thanks to the coconut oil we used. They won’t be perfectly round or smooth, and that’s the whole point. Just picture how almond joy chocolate bar looks but in circular’ish form. 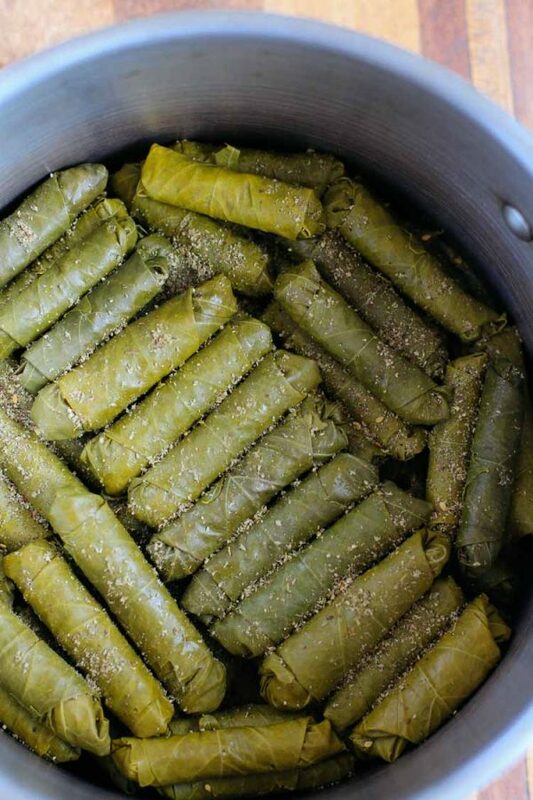 Lay them on a baking sheet lined with parchment paper or wax paper and pop them in the fridge to set. When they’re ready, you’ll notice that the chocolate solidifies. And you’re ready to enjoy these little pieces of heaven. These pop-em-in-your-mouth coconut bites are made with simple raw ingredients that come together in a sweet dessert that tastes like the Almond Joy or a Bounty bar! Better yet, every ingredient works for you and not against you. 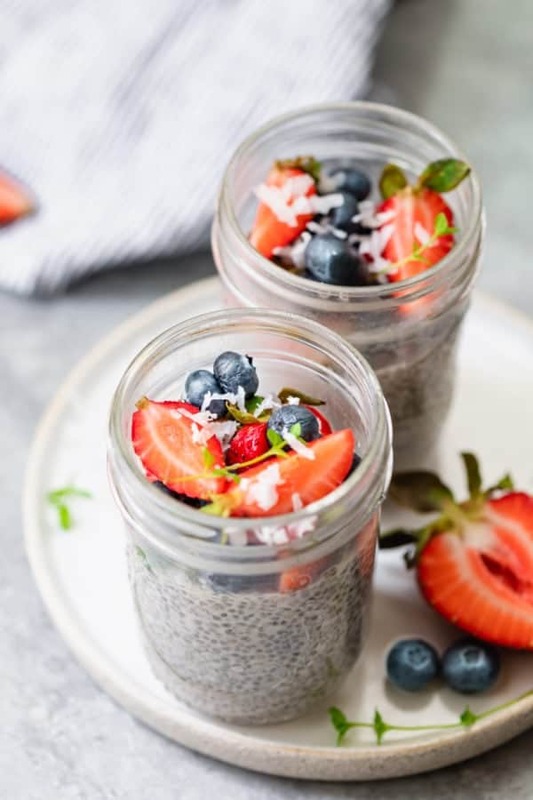 Yeah, you’re not going to find a dessert as jam packed with nutrients and flavor as these little guys. 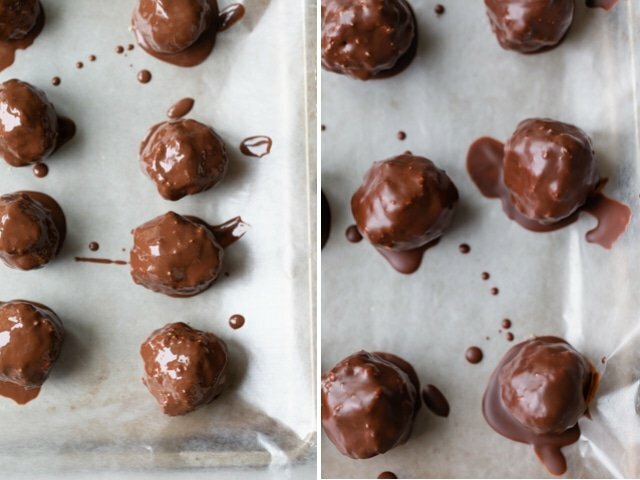 If you’ve tried this healthy-ish feel good Chocolate Coconut Balls recipe or any other recipe on FeelGoodFoodie, then don’t forget to rate the recipe and leave me a comment below! I would love to hear about your experience making it. And if you snapped some shots of it, share it with me on Instagram so I can repost on my stories! I created this blog post first on March 23, 2017. I am updating it today to include improved new step-by-step images and a video tutorial! Here’s the old photo from Instagram posted on August 14, 2014 for kicks! 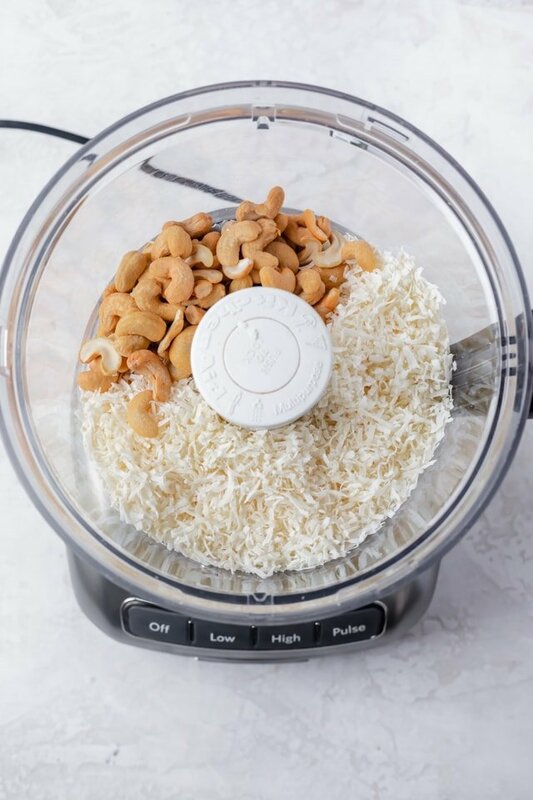 In a food processor, blend cashews and shredded coconut until mixture is finely chopped. Add vanilla extract and maple syrup, and blend more until mixture is slightly sticky. 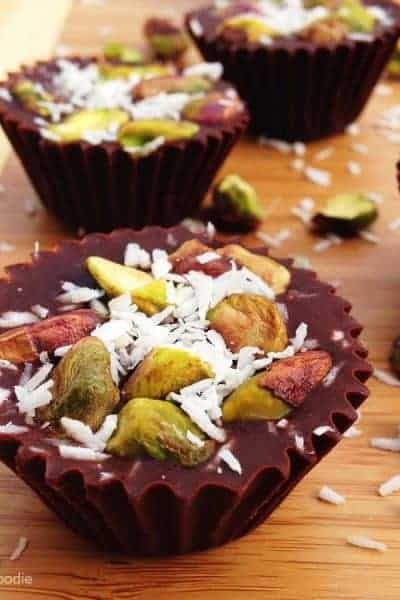 In a small bowl, mix the melted chocolate with coconut oil to make chocolate sauce. 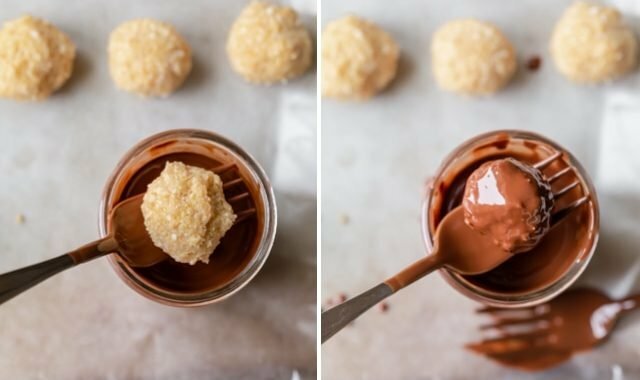 Dip the frozen coconut balls into the chocolate sauce, making sure to cover them entirely; set on baking dish lined with parchment paper. Chill again for about 20 minutes until the chocolate has hardened. Storage: Store any leftovers in an airtight container. They will last about 14 days in the fridge. Substitutes: For best results, follow the recipe as is. The most important advice though is do not substitute the coconut oil. It hardens in a way that regular oil does not, so it helps to shape the coconut bites. 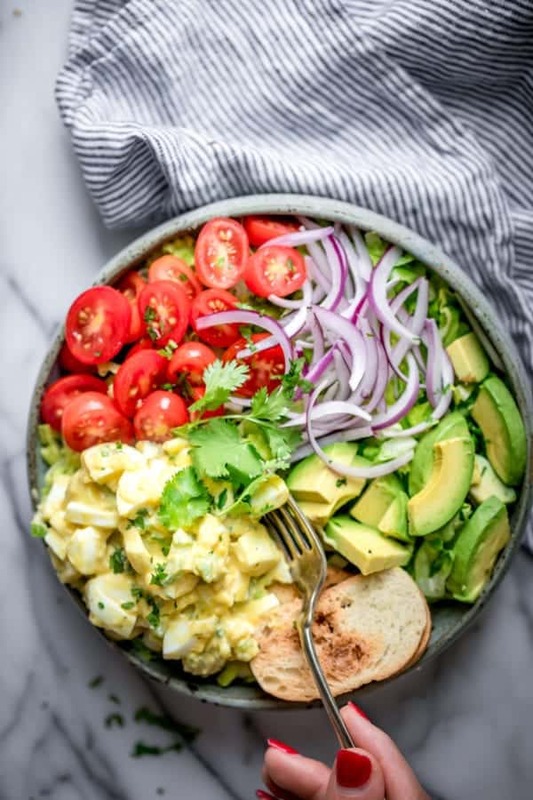 Here are some common substitutes that would work well in this recipe. Instead of roasted cashews, you can use raw cashews, or another nut like almonds, pecans or walnuts. You can use dessicated coconut instead of shredded coconut. 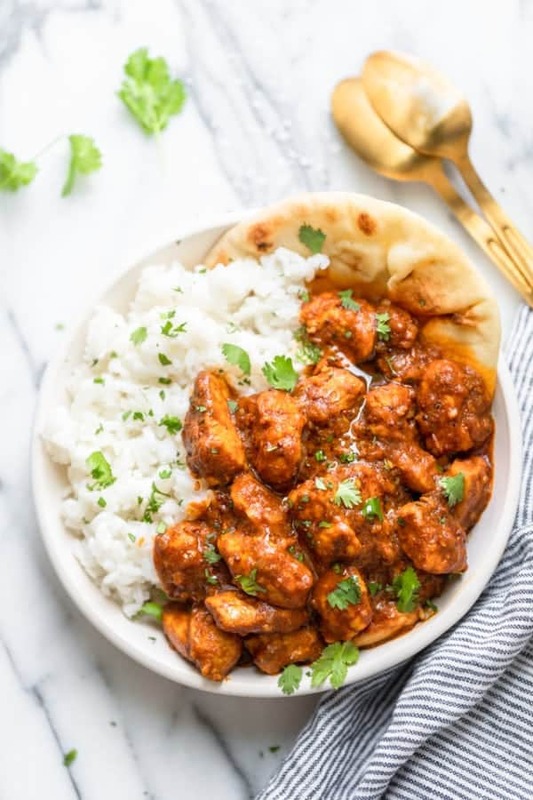 There isn't too much of a difference when it comes to this recipe. Equipment: I used my Kitchen Aid food processor to combine the ingredients. It does a great job of chopping and blending really quickly. Nutrition: Please note that the nutrition label provided is an estimate based on an online nutrition calculator. It will vary based on the specific ingredients you use. This information should not be considered a substitute for a professional nutritionist’s advice. The nutrition value is for two of the balls. 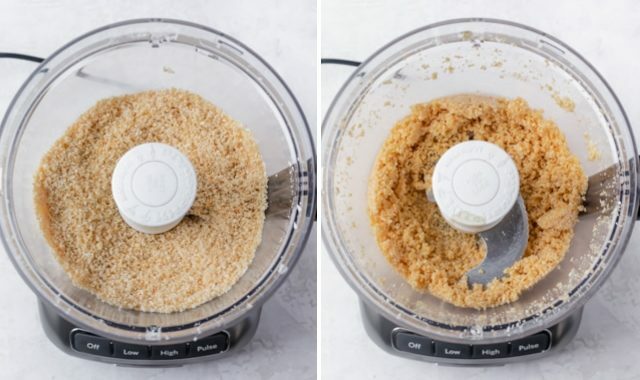 How about if you don’t have a food processor can something else be used? 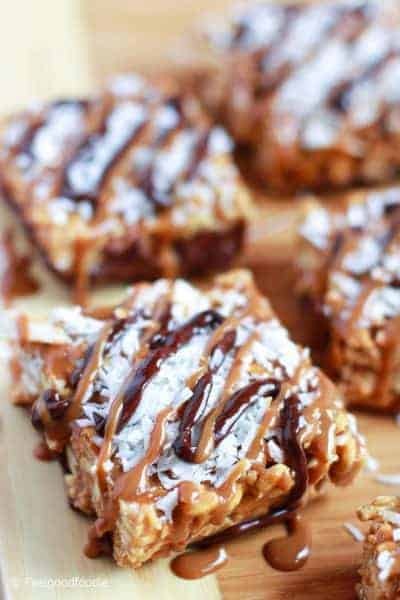 You can make these in a blender, but you definitely need something like a blender or food processor.